As part of our effort to reduce the use of paper and to provide STS families with the best resources at their fingertips, STS has created the STS Digital Backpack Page. 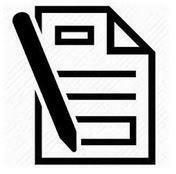 This page provides a central posting place for electronic information, documents, links and forms needed throughout the school year. You can always access this page by clicking the shortcut link on the right of any page on the STS Website. Welcome from the Parents Association! If you have a suggestion for a form you think should be added, please send us an e-mail.